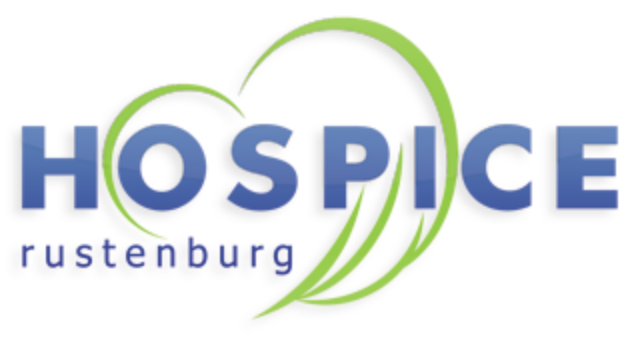 Hospice Rustenburg provides, free of charge, home-based palliative care to terminally ill people and their families in the Greater Rustenburg Community and the Bojonala District. 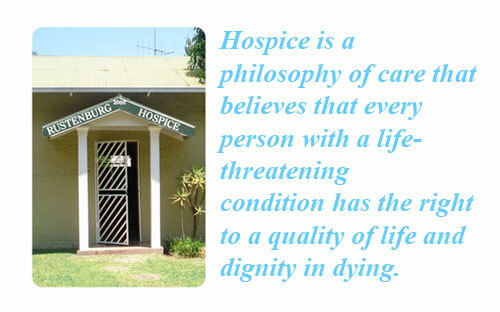 Who Does Hospice Provide Care To? Anyone with a life-threatening illness, such as cancer, HIV/AIDS and end-stage chronic illness, is eligible for care. If you are in need of our services, please contact us directly. As a non-profit organisation (NPO 030 333), we have various projects and programmes that help us raise funds. Here are some of them: Tin Project Donations from ‘Friends’ Second hand shops Donations in lieu of flowers Rag Project Mobile shop Events Corporate funding Financial assistance is tax-deductable (PBO Number: 18/11/13/4711).